A study by Medicare’s inspector general of skilled nursing facilities says nearly 22,000 patients were injured and more than 1,500 died in a single month — a higher rate of medical errors than hospitals. One-in-three patients in skilled nursing facilities suffered a medication error, infection or some other type of harm related to their treatment, according to a government report released today that underscores the widespread nature of the country’s patient harm problem. Doctors who reviewed the patients’ records determined that 59 percent of the errors and injuries were preventable. More than half of those harmed had to be readmitted to the hospital at an estimated cost of $208 million for the month studied — about 2 percent of Medicare’s total inpatient spending. Patient safety experts told ProPublica they were alarmed because the frequency of people harmed under skilled nursing care exceeds that of hospitals, where medical errors receive the most attention. “(The report) tells us what many of us have suspected ­­– there are vast areas of health care where the field of patient safety has not matured,” said Dr. Marty Makary, a physician at Johns Hopkins Medicine in Baltimore who researches health care quality. The study by the inspector general of the U.S. Department of Health and Human Services (HHS) focused on skilled nursing care – treatment in nursing homes for up to 35 days after a patient was discharged from an acute care hospital. Doctors working with the inspector general’s office reviewed medical records of 653 randomly selected Medicare patients from more than 600 facilities. The doctors found that 22 percent of patients suffered events that caused lasting harm, and another 11 percent were temporarily harmed. In 1.5 percent of cases the patient died because of poor care, the report said. Though many who died had multiple illnesses, they had been expected to survive. The injuries and deaths were caused by substandard treatment, inadequate monitoring, delays or the failure to provide needed care, the study found. The deaths involved problems such as preventable blood clots, fluid imbalances, excessive bleeding from blood-thinning medications and kidney failure. One patient suffered an undiagnosed lung collapse because caregivers failed to recognize symptoms. The patient later had a reaction to medication and a blood clot and had to be transferred to a hospital. Projected nationally, the study estimated that 21,777 patients were harmed and 1,538 died due to substandard skilled nursing care during August 2011, the month for which records were sampled. Medicare patients “deserve better,” said Sen. Bill Nelson, D-Fla., chairman of the U.S. Senate Special Committee on Aging. Nelson said he would push for better inspections of the facilities. “This report paints a troubling picture of the care that’s being provided in some of our nation’s nursing homes,” he said. The report said it is possible to reduce the number of patients being harmed. 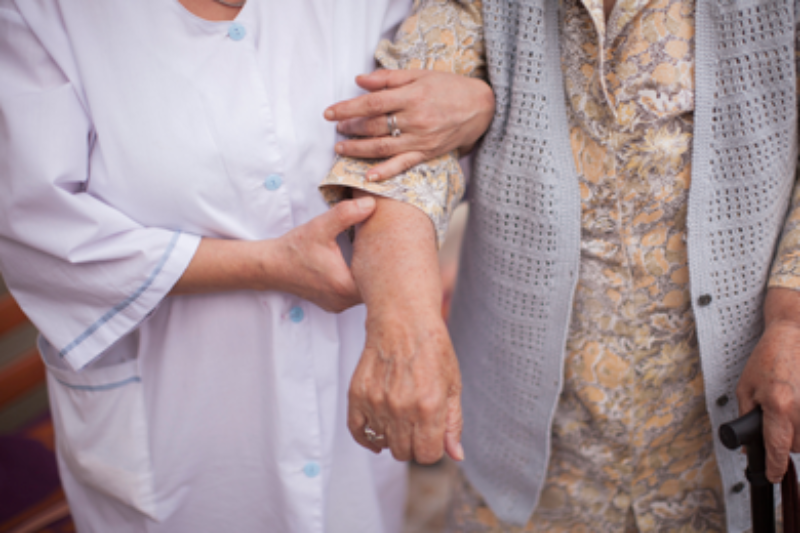 It calls on the federal Agency for Healthcare Research and Quality and the Centers for Medicare & Medicaid Services (CMS) to promote patient safety efforts in nursing homes as they have done in hospitals. The authors also suggest that CMS instruct the state agencies that inspect nursing homes to review what they are doing to identify and reduce adverse events. In its response to the report, CMS agreed with the findings and noted that the Affordable Care Act requires nursing homes to develop Quality Assurance and Performance Improvement programs. The agency’s quality improvement work includes a website for nursing homes that was launched in 2013. A “skilled nursing” facility provides specialized care and rehabilitation services to patients following a hospital stay of three days or more. There are more than 15,000 skilled nursing facilities nationwide, and about 90 percent of them are also certified as nursing homes, which provide longer-term care. As hospitals have moved to shorten patient stays, skilled nursing care has grown dramatically. Medicare spending on skilled nursing facilities more than doubled to $26 billion between 2000 and 2010. About one-in-five Medicare patients who were hospitalized in 2011 spent time in a skilled nursing facility. John Sheridan, a member of the American College of Health Care Administrators, which represents nursing home executives, called the report valuable but noted that it sampled only a small number of patients. He questioned whether the findings apply broadly to skilled nursing facilities. Sheridan agreed that skilled nursing facilities could improve, but said the caregivers face a daunting task and work diligently despite low reimbursements Medicare pays to the facilities. Dr. Jonathan Evans, president of the American Medical Directors Association, a group focused on nursing home care, said while he doesn’t dispute the estimates in the inspector general’s report, they are typical of problems that exist throughout the health care sector. Evans said that patients receiving skilled nursing care are leaving hospitals sooner and that many are not medically stable and have more intensive needs. Nursing homes, originally designed for long-term patients who did not need intensive care, and have been slow to adapt, Evans added. Evans called the study significant and said he hopes it raises awareness and sparks improvements. Makary, the Johns Hopkins’ doctor, said the patient safety movement has been more focused on problems at hospitals than in nursing homes. A 2010 report by the HHS inspector general estimated that 180,000 patients a year die from bad hospital care, and other estimates have been higher. The patient safety research community has focused on reducing bloodstream infections and surgical errors at hospitals but has done less to address issues specific to nursing homes, Makary said. Developing metrics to track improvement would be more effective than annual inspections, which don’t do a good job of capturing a facility’s everyday performance, Makary said. Patient advocates said the study verifies what they’ve heard from skilled nursing patients and their families. Richard Mollot, executive director of New York’s Long Term Care Community Coalition, said he was “flabbergasted” by medication errors, bedsores and falls that were identified in the report. They are prominent problems that nursing homes should be “well versed” to address, he said. Mollot said the report should have more forcefully called for better enforcement of the existing standards in nursing homes. About 40 percent of people over age 65 will spend time in a nursing home at some point, Mollot said. Hopefully, he said, the inspector general’s report will help the public see that care needs to improve. “They are dangerous, dangerous places,” he said. ProPublica is investigating health care quality and welcomes your input by filling out our questionnaires for patients who’ve been harmed and for medical providers.